Sleepywood is a small town located in the dungeon, at the center of Victoria Island. This town is a resting spot that leads deeper into the dungeon where strong monsters reside. There is a sauna to increase recovery to exhausted travelers. In the regular sauna, Mr. Sweatbottom sells the usual items which could be found in any potion shop in Victoria, except a few items which can only be bought here. In the VIP sauna, Mr. Wetbottom's only purpose is to give you a level 40 quest which culminates in the Sauna Robe. The Mysterious Statue leads you to jump quests. A player can walk to Sleepywood from the Six Path Crossway. The Jr. Balrog stalks the Cursed Sanctuary at the deepest layer of the Ant Tunnel. When you first enter the right portal in Sleepywood, you will end up in the Silent Swamp, which is full of Copper Drakes. You will encounter Ronnie at first, who is involved in Mr. Wetbottom's quest. 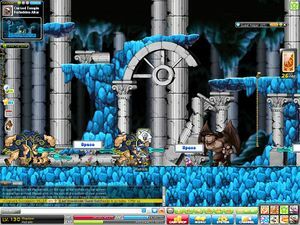 At the top right of this map is a portal which leads to Root Abyss. As you trek deeper into the Swamp, you will eventually end up in the Drake Cave, where stronger Drakes reside. After the Cave Cliff, where Drakes and Red Drakes are found, the ground darkens, and the maps are referred to as being cold. You will then encounter Ice and Dark Drakes at this point. The last map is pure spawn Dark Drakes, and there are 3 portals moving onward. One leads to a mini-dungeon full of Dark Drakes, another leads to a map where Snack Bar can be found, and the last map leads to the Cursed Temple entrance. Along the way, you will spot several Shaman Rocks, which you must place Shaman Charms on by request of Chrishrama. The last safe area is the Cursed Temple Entrance, where the path splits in two. The upper route leads to the Cursed Temple, where you will first encounter Wild Kargos. A separate path off of this map leads to 2 maps full of Wild Kargos. 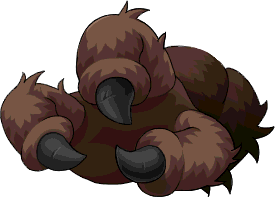 After the first map, you will encounter the Tauromacis, which are eventually joined by Taurospears, and culminates in the Cursed Temple, where the legendary Jr. Balrog spawns. The sanctuary was created by the Sharenian, and likely served a special purpose in their society. The lower route leads to the Underground Temple, where one can fight the legendary Giant Balrog. 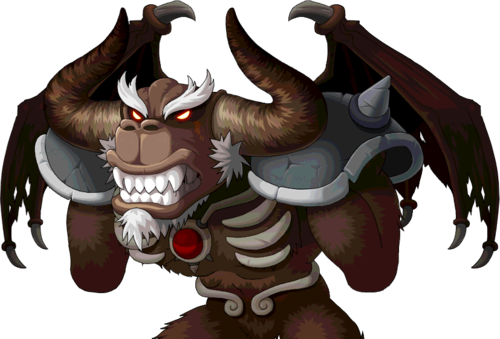 An evil spirit was once sealed in this Temple by Tristan, a legendary hero who died in place of Manji because of this evil spirit, Balrog. 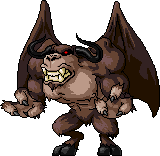 However, Balrog has been resurrected from the Darkness, the reason behind its resurrection is not known. 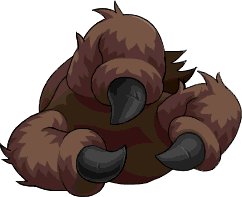 Upon Balrog's death it mentions that one day his full power will be back, and rule the Maple World again. This page was last edited on 23 November 2018, at 01:39. This page has been accessed 100,668 times.